It’s always cold the beginning of the New Year in New Hampshire, but recent history has proven it to be brutal. 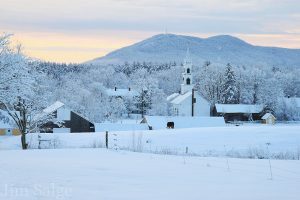 New Hampshire confronts unique issues with the weather because it can get substantially more frigid than the rest of the country. Slick roads, snow shoveling and the potential for frostbite are an everpresent danger during the winter. Drive safely in snow and avoid driving when road conditions are particularly inhospitable and visibility is low. Be mindful of the potential for frostbite if shoveling snow or outside for any other purpose, and take regular breaks to ensure your body temperature does not drop too low. December and January are peak times for carbon monoxide poisoning. More fuel-heating appliances are in use during the winter, and people are more likely to start their cars in the garage to warm them before getting in to face the cold. These conditions are prime environments for carbon monoxide poisoning. Those persons who use oil, propane or natural gas to heat their homes should ensure their heating system is properly cleaned. If not, there is a chance carbon monoxide could seep into your home. Carbon monoxide is an odorless gas that can seep through walls, door frames and window casings. Likewise, if you start your car in the garage to warm it before heading out, make sure a window or door is open to outside to let the fumes dissipate. Replace the battery in your CO detector. Open the garage door if and while you heat your car up in the garage. Slip and fall incidents injure thousands of Americans every year. There is arguably an increased risk during the winter months because of slick, icy sidewalks and roads. But the inside of you home poses another threat: baths/showers. During the winter months, an allure of a hot bath or shower is as potent as ever. Likewise, it is as dangerous as ever: at least 3,800 injuries occur annually from scalding or excessively hot tap water. Children under five and the elderly are particularly at risk for these accidents. Wear proper footwear with non-skid soles when outside walking where ice or slippery conditions may persist. Reduce your risk for hot water burns by adjusting the temperature setting of your hot water heater to 120 or lower. In all of the above conditions, an injury can happen because of your own negligence, but it can also happen because of someone else’s negligence. For instance, the carbon monoxide detector. you just bought may not operate properly due to design, or a neighbor may not have cleared off ice as he or she should have and you slipped and injured yourself. If you suffer a personal injury in New Hampshire under circumstances beyond your control, consider speaking with a New Hampshire personal injury attorney to discuss the specifics of your case. Contact New Hampshire personal injury attorneys Tenn And Tenn, P.A. today either online or at 888-511-1010 to discuss the circumstances of your accident and injury.